TESOL International Association has defined a core set of principles for the exemplary teaching of English learners. The 6 Principles are universal guidelines drawn from decades of research in language pedagogy and language acquisition theory. They are targets for teaching excellence and should undergird any program of English language instruction. You must implement the 6 Principles as a whole. You cannot just know your learners, for example, and then not act on that knowledge when you plan instruction. The 6 Principles were developed by a ​team of language experts. Grounded in research and with contributions and support from educators around the world, the TESOL Board of Directors, and TESOL Staff, these principles are the result of 2+ years of exploration, inquiry, conversation, and collaboration. Why Do We Need The 6 Principles? TESOL’s mission is to advance the quality of English language teaching around the world. As the number of English learners soars, a common understanding of second language learning and effective instructional and assessment design is needed. In some settings, teachers need more preparation to effectively educate English learners. 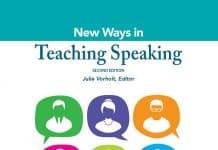 When TESOL professionals fully implement the 6 Principles, their students participate in high-quality lessons for language development and experience educational success. 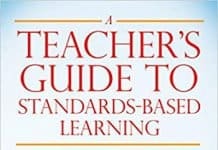 The 6 Principles provide teachers with the knowledge to make informed decisions to improve instruction and assessment, so curricula and courses for English learners are rigorous, relevant, and designed and delivered with second language acquisition in mind. Using the 6 Principles for planning policies, programs, and practices will ensure curricula and courses for English learners are rigorous, relevant, and designed and delivered with second language acquisition in mind. When the 6 principles are well implemented, students will participate in high-quality language lessons and experience educational success. Who Can Use The 6 Principles? The 6 Principles are for all educators who interact with English language learners. They are applicable across different educational contexts, such as classrooms with children or adults, dual language learners, emerging bilinguals, and multilingual students.